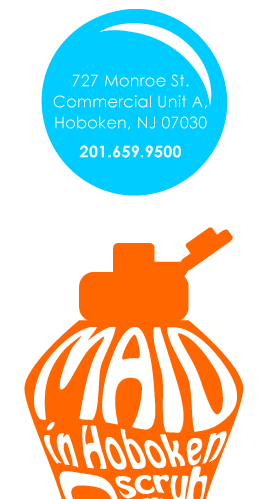 Maid in Hoboken » Find Out Why We’re the Top House Cleaning Service in North Bergen, New Jersey! Find Out Why We’re the Top House Cleaning Service in North Bergen, New Jersey! Maid In Hoboken is proud that North Bergen residents have helped make us Yelp’s #1 customer satisfaction for cleaning service North Bergen homes! With a roster of residents that has included director James Brooks, musician Paquito D’Rivera and rapper Ice-T, we know the people of North Bergen have lots of things they’d rather do than spend time cleaning kitchens, scrubbing bathrooms and keeping homes spotless. That’s why residents all along Bergenline Avenue, in Woodcliff, Bergenwood, New Durham and throughout North Bergen let Maid in Hoboken take care of all their residential cleaning, from move-in to move-out cleaning. We offer competitive rates and guarantee satisfaction. If you’re not completely satisfied, contact us within 24 hours after the appointment, and we’ll redo the job to your approval at no charge! Maid In Hoboken’s superior eco-friendly cleaning services start with our superior staff. We screen and perform extensive background checks on all our team members, ensuring their dependability, honesty, and dedication to providing superior customer service. We provide them with extensive training in professional cleaning techniques are provide them with professional quality cleaning equipment, so we can clean a home more thoroughly and efficiently than any non-professional could ever achieve. In addition to providing the best housecleaning services in New Jersey, we also offer commercial cleaning services, and offer customized cleaning service plans, including weekly, bi-weekly, monthly or special occasion cleaning services. Whether you live in the Avalon North Bergen, Half Moon Harbour, or anywhere else in this fine community, contact Maid In Hoboken today, and let us give you a cleaner, happier and healthier home! Call us today at (201) 659-9500, or complete our estimate form and let us give you a cleaner, happier home! Let us provide you an estimate. How many residents in the home? Which bubble are you living in? I only clean for guests. Didn’t I just scrub the bathroom? I could write a poem in the dust on my TV. I’m neat, but don’t look too closely at my kitchen floors. What's your (2) biggest concerns?